After the Aquos Crystal, Sharp tries again. For now it is just a concept, not a smartphone completely finished, but the screen has a futuristic feel quite interesting: zero frames, 2.5D curvature and rounded corners. 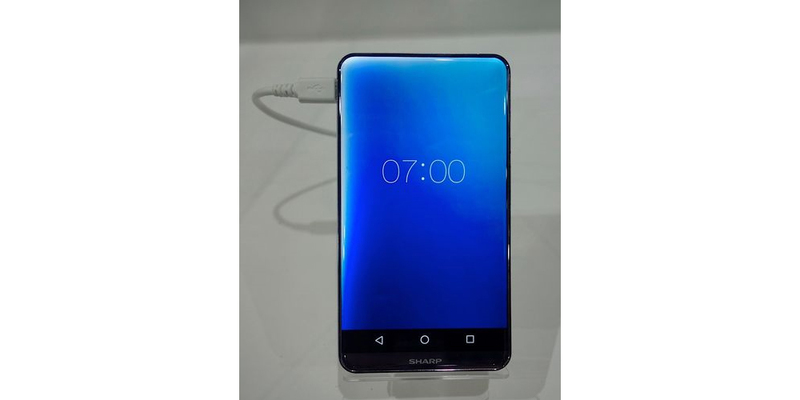 That's right, Sharp introduces a new concept phone devoid of frames on their sides, with it the Japanese company intends to re-enthuse all lovers of smartphones. It would be an IGZO LCD screen of 5.2-inch, Full HD resolution based on patented Sharp technology, the Free-Form Display. And it is precisely this latest technology which allows the Japanese company, recently acquired by Foxconn, produce LCD panels in several ways. Sharp is not a new subject in this kind of innovative solutions, which in fact had already presented in 2014 with the Aquos Crystal. However, the Corner R (this is the name of the concept known today) is a big step forward. Although the theoretical resolution is only 1920 x 1080 pixels, more than enough for such small sizes, impressed by the fact of 2.5D curvature on all sides, along with rounded corners. The result is a phone with a screen occupying its entire front (the ratio of surface/screen would be of the order of 90%) without frames and a very elegant design: a real feast for the eyes. Of course, one might ask: where are the buttons, the front camera and all the typical sensors today are seen in smartphones? Its position in the lower frame can create a headache for too many addicts to selfies, and can even be quite unproductive for light sensors and proximity. However, we expect to see implemented this type of options in an intelligent way and on a large scale, at least while they still seems useful to users.